My husband built me some really strong shelves to hold my canned goods in the basement. Another view of my shelves…….. I wanted to leave some of the jars in boxes, so they are underneath the shelves like 4 dozen jars….. The shelves are deep too, so they go back forever and ever and make me want to can more and fill them all up! It has been a busy week! But I am taking it one day at a time. My laundry room is a wreck, there is alot of laundry to do, but my sweet husband built me some massive, sturdy shelves (we like to tease him, because everything he builds is very strong, very well done, sometimes over the top!!) for my canned goods. I also was given alot of potatoes again this year and this year they are not very dirty. The last ones we could not bake for baked potatoes and these ones we can!!! We are starting to feel like winter is coming, I had to use the heater in our van last night, but not in the house yet. It is staying warm so far…..I like to try to go at least to the middle of Oct with no heaters in the house. We will see! With all the food we have stored up, I am wondering what the winter will hold!! <p> I was shocked today when I was at the grocery store and checked the price on frozen corn, peas etc. Usually for the store brand it is like .99 regular price and then on sale it is like .59-.69 a pound. Today they had it for 1.99 a pound for cheapo peas, corn and mixed vegetables….<p>I cannot believe they actually can charge that!! I laughed when I saw an article online on shortages of pumpkin this year. For one thing I laughed because for one thing, canned pumpkin is not always pumpkin (which means there is more a shortage of butternut squash than pumpkin) and I have tons of pumpkin in my freezer still as well as we are going to the pumpkin patch next week as well. I guess there was a shortage in 2006 too….I think I missed it, I had too much pumpkin to deal with!!! <p> The Postscript on this is just you need to look around for cheaper things you will probably find it….frozen vegetables are on sale for .66 each at a neighboring store! So…..to think back on the week…what did we eat? Friday: I have no clue actually……no idea, maybe hot dogs….I think we did not eat. Sunday: I put a chuck roast on the stove to cook with some peppers that needed to be used and a tomato. When it was shreddable, I served it over cooked rice. I made muffins for breakfast this morning and they ate those for a snack later in the day. Tuesday: Do you think I should actually cook a nice meal? What else is left in the fridge? You see, because it was a busy week it mean grocery shopping did not get done properly and I bought a big thing of ground beef, but someone nicely was helping and stuck in the freezer in a large chunk so I have to cook the whole thing now when I defrost it. Anyhow, I think tomorrow we will have the rest of the roast maybe made into gravy over mashed potatoes or noodles with steamed broccoflower which was on sale for .69 a pound so I thought I would try it. My Review: I have to start out with just Wow…….!!! I am not sure if it was just the place I was at in my life or what, but I did not expect this book to have the great impact on my life that it did. When I received this book in the mail, I was sitting down with a cup of tea at the table (not my normal place to read) and I sat there just reading and reading. The tears started streaming down my face as I read this tale of horror, but mixed with how to survive, how to forgive and how to go on when you feel like your heart was ripped out by another person’s sinful actions. 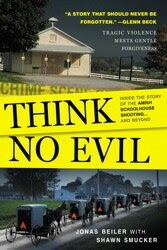 The story of the Amish school shooting just seemed like a small part of this book, but instead I saw that Mr Beiler instead addressed the fact that these horrible things may effect you the rest of your life. The widow of the man who shot those young girls, the mothers who may feel guilty for leaving the school room with their daughters in there, the girls that survived and that is not to mention the flashbacks. I learned that forgiveness does not mean forgetting, but as one person stated which reached my heart was "We do not forgive and forget, we forgive because we cannot forget." Right now going through my own painful lesson in forgiveness, I realized that I can forgive because I can’t forget. I have to forgive because I cannot let one person’s sin ruin my life and continue on with the pattern. Jonas Beiler grew up in a strict and traditional Old Order Amish family during the 1950s. Now he is the cofounder and chairman of the Angela Foundation. He is also a licensed family counselor and founder of the Family Resource and Counseling Center in Gap, Pennsylvania. It has become numbingly familiar. A man walks into a church, a store, a dormitory, a nursing home, or a school and begins shooting. Sometimes there is panic, sometimes an eerie quietness. But always bodies fall, almost in unison with the shell casings dropping from the gun. And always there is death. Senseless, inexplicable loss of innocent life. Within seconds, we begin hearing reports on our Blackberries or iPhones. Within minutes it is “Breaking News” on CNN, and by the end of the day it has seared a name in our memories. Columbine. Virginia Tech. Or for me, The Amish Schoolhouse Shooting. As I write this, it has been nearly three years since our community watched as ten little girls were carried out of their one-room school and laid on the grass where first responders desperately tried to save their lives. As a professional counselor and the founder of a counseling center that serves this area, I saw firsthand the effects this traumatic event had on our citizens. And as someone who grew up in an Amish household and suffered through my own share of tragedies, I found myself strangely drawn back into a culture that I once chose to leave. I know these people who still travel by horse and buggy and light their homes with gas lanterns, yet as I moved among them through this tragedy I found myself asking questions that, surprisingly, led me to back to a hard look at my own heart. How were they able to cope so well with the loss of their children? What enables a father who lost two daughters in that schoolhouse to bear no malice toward the man who shot them? And what can I learn—what can we learn—from them to help us more gracefully carry our own life burdens? That last question is what prompted me to attempt to share what I have learned from the families who lost so much that day. The Amish will be the first to tell you they’re not perfect. But they do a lot of things right. Forgiveness is one of them. In my counseling, I have seen how lesser tragedies destroy relationships, ruin marriages, and turn people’s hearts to stone. Life throws so much at us that seems unfair and undeserved, and certainly the shootings at the Amish schoolhouse in Nickel Mines, Pennsylvania were both. And yet, not a word of anger or retribution from the Amish. Somehow they have learned that blame and vengeance are toxic while forgiveness and reconciliation disarm their grief. Even in the valley of the shadow of death they know how to live well, and that is really the story that I want to share—how ordinary human beings ease their own pain by forgiving those who have hurt them. It is a story that began decades ago when I knew it was time to choose. Little has changed in Lancaster County, Pennsylvania from the time I was a young boy to that fateful October day when shots pierced the stillness of our countryside. Towns like Cedar Lane and New Holland and Gap and Iva might have grown slightly, but as you drive through the hills and valleys along White Oak Road or Buck Hill Road, you’ll see the same quaint farms and patchwork fields that the Amish have worked for generations. Like most Amish boys, I learned to read in a little one-room schoolhouse and could hitch up a team of horses by the time I was twelve years old. I didn’t feel deprived because we didn’t have electricity or phones and it didn’t really bother me to wear the plain clothes that set us apart from my non-Amish friends. As far as I was concerned, being Amish was fine with me, except for one thing. I loved cars. I mean I really loved them. I couldn’t imagine never being able to drive one, but knew that’s what was at stake if I remained Amish. In Amish culture, you may be born into an Amish family, but you must choose for yourself if you want to be Amish and that usually happens somewhere between the ages of sixteen and twenty one. You may have seen documentaries about Amish teenagers sowing their wild oats for a year or so before deciding to leave or stay within the Amish faith. While it’s true that Amish young people are given their freedom, in reality few teenagers stray very far from the Amish way of life. But all eventually must choose, and once you decide to stay and become baptized as Amish, you can never leave without serious consequences including being shunned by other Amish, even your own parents and relatives. I couldn’t imagine never being a part of my loving family, but I also felt a tug to explore life beyond my Amish roots, and I worried that it would hurt my father if I chose to leave. I remember once asking my dad why we did the things we did and he told me it was all about choice. We choose to live the way we do. It is not forced on us. So when I finally told him at age fifteen that I did not want to stay Amish, I know he was disappointed, but he was not harsh with me, nor did he try to talk me out of it. He respected my choice, which has profoundly shaped my thinking about the Amish. You can always trust them. They live up to their word. If they say they will do something, they will do it. You may have heard the expression, “Do as I say, not as I do.” Well, you would never hear that from an Amish parent. Whatever they teach their children, they back it up with their actions. My dad told me we had a choice and when I made a choice that he obviously wished I wouldn’t have made, he did not turn his back on me. He taught me an important lesson the way most Amish teach their children: by example. Many years later, in the wake of the tragic shooting, I would see Amish mothers and fathers teach their children about forgiveness the same way. I left the Amish community, but I never left my family, nor did they abandon me. Because of that, I too would learn about forgiveness from my father’s example. Most of my brothers and sisters made the same decision to leave for their own reasons. But my parents remained Amish, and much of my world view is still seen through the metaphorical front windscreen of an Amish buggy. During those winter months after the shooting so much about our community was covered in stillness. The shortening days felt somber and subdued as we were constantly reminded of the girls that had perished. Normally the sights and sounds surrounding my home in Lancaster County filled me with a sense of nostalgia: the rhythm of horse and buggies clip-clopping their way down our back country roads or the sight of children dashing home from school through a cold afternoon had always been pleasant reminders to me of growing up as a young Amish boy. But that feeling of nostalgia had been replaced with a solemn feeling of remembrance. Lancaster County is a unique community, the kind of which seems to rarely exist in America anymore. Many of my friends come from families that have lived in this same area for over two hundred years, some even before our country was formed—often we are still connected by friendships held long ago by our parents, or grandparents, or great-grandparents. You will find roadside stands selling produce or baked goods, and it is not unusual for them to be left unattended, the prices listed on a bucket or box where you can leave payment for the goods you take. The vast majority of the county is farmland, and in the summer various shades of green spread out to the horizon: beautiful forests line the hills and drift down to waving fields of corn and tobacco and hay. In the fall months many of the small towns sponsor fairs or festivals, some established for seventy-five years or more. They were originally conceived for local farmers to bring and sell their harvested goods, but like much of the commerce in this area, they were also social events—an opportunity to get caught up with friends you hadn’t seen in a while. I can imagine that back in the day they were joyous times, the crops having been brought in, the community coming together to prepare for a long winter. Nowadays we still go to the fair every year and sit on the same street corner with all of our friends, some of whom we haven’t seen all year but can count on seeing there at the fair. The parade goes by, filled with local high school bands and hay wagons advertising local businesses. Our grandchildren vanish into the back streets together, another generation of friendships, riding the Ferris wheel or going through the haunted house. I like to think that in thirty years they will be sitting on that corner, with their children running off to ride the rides with my friends’ great-grandchildren. The Amish people live easily among us: good neighbors, hard workers, a peaceful people. They attend the same fairs with their children. Their separateness goes only as far as their plain clothing, or their lack of modern conveniences like telephones and electricity, or the fact that they have their own schools. I have many good friends who are Amish. While they choose to live their lives free of cell phones and computers, they still walk alongside us. They mourn with us when we lose loved ones, and we with them. We talk to them about world events. They volunteer on our local fire brigades and ambulance crews and run businesses within our community. When the media converged on our community on that fateful October day, I guess I was an ideal person for the media to talk to: someone who grew up in the Amish community, now a family counselor familiar with the effects of grief and tragedy on people’s lives. So I served as a contact for the media, doing countless interviews and sitting on various panels, almost all of which were directed at the Amish response of forgiveness. It immediately became the theme for the media and the millions of people who watched in their homes or listened in their cars—this unbelievable ability to forgive the murderer of innocent children. But tragedy can change a community, and I wondered how the acts of one man would change ours. Like many individuals, I had already experience my share of personal turmoil over things I could not control. I knew that when these overwhelming experiences of hurt and loss occur, the very core of your being is altered. In fact, having experienced these tragedies in my life, and being counseled through them, led me to pursue becoming a counselor myself. Eventually I went back to school to do just that, and I studied quite a bit on my own as well. 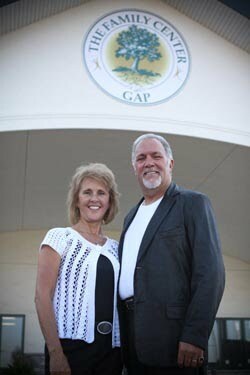 In May of 1992, just up the road from Nickel Mines, my wife and I opened the Gap Family Information Center (later it became the Family Resource and Counseling Center), a place where people from our community can come to find healing from a variety of ailments, whether physical, emotional or spiritual. As a trained counselor I spend a lot of time listening to people pour out the pain of their lives and can see with my own eyes how it has affected them. Nearly every time I speak with a couple whose marriage has been torn, or visit with a family who has lost a child, I am reminded that there are some hurts in life that never completely disappear. But now, after the shooting, I understand even better how tragedies can affect individuals and communities. I think back to places like Columbine or the areas in the south affected by Hurricane Katrina and I can relate to the trauma they faced and continue to live with. Our community felt shattered after the shootings in that small schoolhouse. Sometimes, as I drove those back country roads or stopped to talk to Amish men, I could hardly bear to think about the pain those girls’ parents felt, or the innocence that our community had lost. But tragedies can also bring communities closer together, if forgiveness is allowed take hold, and if any good can come out of our loss it is this unique practice of forgiveness that characterize the Amish response to evil and injustice. While the public was fascinated with the Amish take on forgiveness, they didn’t quite know what to do with it. Some people refused to believe that anyone could offer genuine forgiveness to their children’s killer. They suspected the Amish were either lying or deluding themselves. Others believed the forgiveness was genuine but thought the stoic Amish must be robotic, lacking the normal emotions experienced by you and me, in order to offer up such a graceful sentiment. Neither is the case. Both misunderstandings find their origins in our culture’s false perception of what forgiveness truly is, and the state of mind of someone offering such unusual forgiveness. The Amish are neither liars nor zombies. They are just like you and me and offer a sincere forgiveness with no strings attached, no dependence on any reciprocating feelings or actions. But they also hurt as deeply as the rest of us over the loss of a child, or a loved one. True forgiveness is never easy, and the Amish struggle with the same emotions of anger and retribution that we all do. But they chose to forgive in spite of those feelings. About a year after the shooting I heard a story about one of the young girls who had been in the schoolhouse when the shooter entered. She was a survivor. She, along with her family and her community, forgave the man who killed those girls. But forgiveness does not mean that all the hurt or anger or feelings associated with the event vanish. Forgiveness, in the context of life’s major disappointments and hurts, never conforms to the old Sunday-school saying: “Forgive and forget.” In reality, it’s next to impossible to forget an event like the shooting at her schoolhouse. This young survivor was working in the local farmer’s market when she noticed a man standing quietly off to the side of her counter. As she tried to concentrate on her work she found herself growing more and more agitated over the man’s presence. He seemed to be watching all the girls behind the counter very closely, occasionally starting forward as if he were going to approach, then stopping and standing still again, always watching and fidgeting with the bag he carried with him. There was something eerie about him. Was it the way he stood, or how intently he seemed to stare at them? All around him the farmer’s market bustled with activity. The Amish were often the center of attention for first-time visitors to the market, so the Amish girl was somewhat used to being stared at, but something about that particular guy made her want to hurry the customer she was working with and then disappear into the back of the store. The difference between a curious stare and the way that stranger looked at her seemed obvious and stirred something inside her from the past. Meanwhile, other customers walked between the long rows of stands, eyeing up the goods, making their cash purchases. The vendors took the money from each sale and crammed it into old fashioned cash registers or old money boxes. The floor was bare cement smoothed by years of wandering customers. The exposed ceiling showed iron cross beams, pipes and electrical wires. The whole place smelled of produce, fried food, and old books. For many people outside of Lancaster County, farmer’s markets are the only place they interact with the Amish and their conservative dress—the men wearing hats, mostly black clothing with single-colored shirts and long beards, the women with their head coverings and long hair pulled into tight buns. Amish from Pennsylvania often travel to New York City, Philadelphia or Baltimore to sell their wares: fresh fruit and vegetables, home baked pies and cookies, quilts and handmade furniture. For some of the Amish that is their main interaction with people outside of their community as well. The Amish are hardworking, provide quality products, and almost all are outgoing in that environment and give friendly customer service. But this particular girl, only months removed from the shooting that took place in the Nickel Mines school, got more and more nervous—she found her breath coming shallow and faster, so much so that her own chest rose and fell visibly. She looked around but no one else seemed to notice the man or her reaction to his presence. Her gaze darted from here to there, first looking at him, wanting to keep an eye on him, then quickly looking away if he looked in her direction. She tried to help the customer in front of the counter but concentrating was difficult. Then she saw him approach. He strode forward, fishing around for something in his bag, then sticking his hand down deep and drawing an object out with one fast pull. The girl cried out and fled to the back of the stand, shaking. The man pulled the object out of his bag and placed it on the counter. It was a Bible, a random gift to the workers at the farmer’s market stand. He disappeared among the hundreds of browsing shoppers. The gentleman had no idea the scare he had just given the girl. No one outside the stand had noticed that something intense had happened. Everything continued on as normal—the shoppers wandered and the vendors shouted out their sales to the lingering crowds. But in the back, the traumatized girl wept. Not too long before, her schoolhouse had been hemmed in by police cruisers and emergency vehicles while the sound of a handful of helicopters sliced through the sky. And the thunderous crack of rapid gun shots had echoed back at her from the rolling hills. During those solemn winter months following the tragedy in our community, my wife, Anne, was running errands in the countryside close to the place where the shootings had taken place. That particular area of southern Lancaster County, about sixty miles east of Philadelphia, was an alternating blanket of farms and forest. The trees stood bare. The fields in November and December and January were rock hard, and flat. Where spring and summer bring deep green and autumn blazes with color, winter often feels quiet and stark. Anne, my wife, also grew up Amish, and we both understood the questions blazing up within that community in the wake of the killings: Should their schools have more secure steel doors with deadbolts to keep intruders out? Should they install telephones in the one room school houses in case of emergency, a serious break from their traditional decision to shun most modern conveniences? Should the gates that guard the entrance to most of their schools’ stone driveways be kept closed and locked to prevent strangers from driving on to the premises? Anne came to a stop sign at a “T” in the road. She could only turn right or left. The roads rolled with the gently sloping landscape or curved along the small streams. A handful of scattered homes broke up the farmland that seemed to go on almost indefinitely. But as she paused at that intersection preparing to turn, she noticed something: directly in front of her was a one room Amish schoolhouse, not the one where the shooting took place, but one of the many within that ten mile radius. Most of those schools look the same: a narrow stone or dirt lane leading from the road and up to a painted cement block building with a shingled roof and a small, covered porch; a school bell perched on the roof’s peak; separate outhouses for the girls and the boys. In some of the schools’ large yards you can see the outline of a base path where the children play softball. Some even have a backstop. The school grounds often take up an acre or so of land in the middle of a farmer’s field, usually donated by one of the student’s parents, surrounded by a three- or four-rail horse fence. Yet there was something about this simple school that made my wife stop her car and park there for a minute. Part of it had to do with her thoughts of the children at the Nickel Mines school and all they had been through. She was also affected by visions of the parents who had lost children and their long road ahead, knowing as she does how heart-wrenching it is to lose a child. But on that particular day, in the wake of all the questions brought up within the Amish community about how they would deal with this disaster, there was one thing that immediately stood out. The front gate was wide open. We have all seen what happens in a community when people allow unforgiveness to rule their hearts. Lawsuits abound, separating the perpetrator and their family from those who were wronged, and in this separation the healing process is slowed dramatically. When forgiveness is withheld walls are built within a community and division occurs, leading to isolation and further misunderstanding. Anger and bitterness take hold. The parents of those girls who were killed, along with their family members and neighbors, decided not to allow the shooting to further separate them from their neighbors. There were no lawsuits filed by the victims’ families against the shooter’s estate or the emergency services or the government, as is so often the case. They would not permit anger or fear to drive them into installing telephones, modern conveniences that their way of life had survived so long without. They would trust God to protect them, leaving the gate open to their hearts and to their communities, and move forward with forgiving hearts. Given what happened, could that really be possible? Inside the Story of the Amish Schoolhouse Shooting . . .
[Howard Logo] Published by Howard Books, a division of Simon & Schuster, Inc.
All rights reserved, including the right to reproduce this book or portions thereof in any form whatsoever. For information, address Howard Subsidiary Rights Department, 1230 Avenue of the Americas, New York, NY 10020. HOWARD and colophon are registered trademarks of Simon & Schuster, Inc.
For information regarding special discounts for bulk purchases, please contact: Simon & Schuster Special Sales at 1-866-506-1949 or business@simonandschuster.com. The Simon & Schuster Speakers Bureau can bring authors to your live event. For more information or to book an event, contact the Simon & Schuster Speakers Bureau at 1-866-248-3049 or visit our website at http://www.simonspeakers.com. My Review: I was really excited to get this book as I loved the three books before it, so before you read this one, you have to read the first three. A brief overview, a somewhat spoiled young lady places an ad in the paper for roommates, from the description of the house, they all imagine something different than what it is, a somewhat run down old house. But, they are there and get the rent lowered by doing work around the house. You get to know and love the girls at Bloomburg place so well, you are willing to put up with some of the things they do!!! It was a little different as throughout this series not all the girls were Christians, so there was themes that were different than what you find in mainstream Christian fiction. Lelani just shook her head as she quietly rocked Emma in her arms, pacing back and forth between the living room and dining room. The baby was teething and fussy and overdue for her afternoon nap. Megan wasn’t sure if Lelani’s frustrated expression was a result of wedding planning or her baby’s mood. “Shhh.” Megan held a forefinger over her lips to signal Anna that Emma was finally about to nod off. Megan waited and watched as Emma’s eyes fluttered closed and Lelani gently eased the limp baby down into the playpen set up in a corner of the living room. Lelani pushed a dark lock of hair away from Emma’s forehead, tucked a fuzzy pink blanket over her, then finally stood up straight and sighed. “Looks like she’s down for the count,” Megan whispered. “That’s a lot to ask of you,” Lelani said as they returned to the dining room, where Anna and Kendall were waiting expectantly with the calendar in the middle of the table and opened to June. “What time is Marcus’s sister’s wedding?” asked Anna. “I’m not positive, but I think he said it was in the evening.” She reached for her phone. “That would be helpful, since she’s your maid of honor,” said Anna. Megan tried not to bristle at the tone of Anna’s voice. She knew that Anna had been put a little out of sorts by Lelani’s choice–especially considering that Anna was the sister of the groom–but to be fair, Megan was a lot closer to Lelani than Anna was. And at least they were all going to be in the wedding. “You’re not thinking of bailing on me, are you?” He sounded genuinely worried. “Sunday?” Lelani’s brow creased slightly as she weighed this. “I hear you.” Kendall laughed and patted her slightly rounded belly. She was in her fifth month of the pregnancy. They all knew that she and her Maui man, Killiki, were corresponding regularly, but despite Kendall’s high hopes there’d been no proposal. They all laughed about that. Everyone knew that Mrs. Mendez was crazy about her soon-to-be granddaughter. Already she’d bought Emma all kinds of clothes and toys and seemed totally intent on spoiling the child rotten. They all laughed again. Since coming home from Maui, Kendall had been complaining about how Mrs. Mendez always seemed to find fault with Kendall’s childcare abilities. In fact, Mrs. Mendez had spent the first week “teaching” Kendall the “proper” way to do almost everything. To be fair, Megan didn’t blame the older woman. Megan had been a little worried about Kendall too. But to everyone’s surprise, Kendall turned out to be rather maternal. Whether it had to do with her own pregnancy or a hidden talent, Megan couldn’t decide, but Kendall’s skill had been a huge relief. “So why can’t you have a sunset wedding on Sunday?” Kendall suggested. “But we still don’t have a place picked for the wedding,” Megan said. “We’ll have to pray that it doesn’t rain.” Megan penned ‘Lelani and Gil’s Wedding’ in her date book, then closed it. “I think it’s sweet of Kendall to offer.” Lelani smiled at Kendall. “You’d be in good hands too,” Lelani assured her. “Now, let’s start going over that guest list,” Anna said as Megan stood up. “The sooner we get it finished, the less chance my mother will have of adding to it.” Megan was relieved that Anna had offered to handle the invitations. She could have them printed at the publishing company for a fraction of the price that a regular printer would charge, and hopefully she’d get them sent out in the next couple of weeks. As Megan changed from her weekend sweats into something presentable, she wondered what would happen with Lelani’s parents when it was time for the big event. Although her dad had promised to come and was already committed to paying Lelani’s tuition to finish med school, Lelani’s mom was still giving Lelani the cold shoulder. Make that the ice shoulder. For a woman who lived in the tropics, Mrs. Porter was about as chilly as they come. Still, Lelani had friends to lean on. Maybe that was better than family at times. “Your prince is here,” Kendall called into Megan’s room. Lelani and Anna thanked him but said they had plans. Even so, Megan was glad he’d asked. It was nice when Kendall came with them occasionally. And Lelani had come once too. Really, it seemed that God was at work at 86 Bloomberg Place. Things had changed a lot since last fall. “Because I don’t have any actual teaching experience.” She wanted to add duh, but thought it sounded a little juvenile. “Marcus Barrett, you’re pathetic.” Just the same, she laughed. “Kendall’s getting married?” asked Marcus as he held the church door open for her. “Huh?” Marcus looked confused, but they were in the sanctuary, and Megan knew she’d have to explain later. <p> The measurements on the dress are 30 Bust 25 waist 33 hips…but the size? It is a size 12…..but would be what we would consider about a size 2-4 now….it is like they changed the numbers around….<p> Anyhow, just interesting how the fashion industry manipulates people! <p> I love this dress pattern her by the way….I was thinking of buying it! Some of the fruits of my labor this summer….. The one little girl in the preschool….it is cute, the boys like to call her "Princess" and treat her nicely! Here is a mighty knight to save her……or just color those circles!!! What do you think you are doing??? Then we went to my sister’s baby shower as well….which was at my mom’s birth center…Children always think the balls are there just for them! Baby Eliza sleeping in Sarah J’s arms….. The other mama…changing a diaper….Shawn seems to think when it is time to go out the door it is time to go all over!!! I have been pondering the fascination with the old fashioned, not just among conservative people, but among the general public. Jane Austen movies, huge productions of re-enactments where you see all kinds of people wearing old fashioned clothing and acting like they did many years ago and then the one that puzzles me the most…..the absolute flood and fascination with Amish fiction that has flooded the Christian fiction market. In looking at it all and trying to figure out the why behind it all, I think I see a trend! Our fashions have gotten to the point now in society where we see pants sagging down, if you dress nicely and neatly you are called “geeks”, “nerds” among other things or maybe just “prude”. You are to appear as fashionable and dress in a not so nice girl way, yet I think our inner girl longs for the simpler things in life. I say “inner girl” because most people would laugh and mock and could never live without their jeans all the time, but deep inside I think, they love it. I know it is out there, especially from someone who wears skirts all the time, but yet still, I know, I wish I could just throw on a calico dress and it would be fine!!! I don’t know why I get so irritated with some Amish fiction and more puzzling to me, why on earth I read them???? = ) I think it is because I keep hoping that one of them will get it right. There is one that I liked her books, she did so, so good and was very respectful in her writing. It was Cindy Woodsmall. Her books were excellent!! I would for sure read more of hers….. I read Lucy Winchester by Christmas Carol Kauffman and I also read an mystery by Margaret Daley….she writes great short Christian mysteries if you like those! Lucy Winchester is sad, but a true story. I just found it so hard as she had baby after baby die and the doctors could do nothing. It makes me realize how much they are able to do now and they don’t just send you home with no hope all the time. She had like 5 children die…..or maybe more…she had like 5 living I think at the end, plus two husbands who died as well. It was very sad, but amazing to read how she dealt with it. 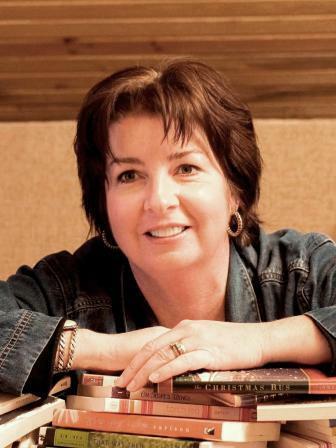 As an award-winning author, Mary Connealy lives on a Nebraska farm with her husband and is the mother of four grown daughters. She writes plays and shorts stories, and is the author of two other novels, Petticoat Ranch and Calico Canyon. Also an avid blogger, Mary is a GED instructor by day and an author by night. For more information on Mary Connealy, visit her Web site at . “You’ll wear that dress, Songbird.” Claude Leveque grabbed Annette Talbot’s arm, lifted her to her toes, and shoved her backward. Annie tripped over a chair and cried out as it toppled. The chair scraped her legs and back. Her head hit the wall of the tiny, windowless shack, and stars exploded in her eyes. Stunned by the pain, she hit the floor, and an animal instinct sent her scrambling away from Claude. But there was nowhere to go in the twelve-by-twelve-foot cabin. “You’ll sing what I tell you to sing.” Claude, in his polished suit and tidily trimmed hair, looked every inch civilized—or he had, until tonight. Now he strode toward her, eyes shooting furious fire, his face twisted into soul-deep rot and sin. A huge fist closed over the front of her blouse, and Claude lifted her like a rag doll to eye level, but he didn’t strike. He would. He’d proved that several times over since he’d come here with his disgusting demands. She braced herself. She’d die first. Claude might not believe that, but he’d know before long. “So, you’re willing to die for your beliefs, heh?” Claude’s fist tightened on her blouse, cutting off Annie’s air. “Yes!” She could barely speak, but he heard. He knew. “No!” Annie had to save Elva. Somehow. Of course Elva would be threatened. Annie hadn’t had time to think that far. Elva would never stand for this. Elva would die for her beliefs, too. How had it come to this? God help me. Protect Elva and me. “We’ll see, Songbird.” Claude laughed again. Annie saw the evil in him, the hunger to hurt. He wasn’t just hurting Annie to get his way. He was enjoying it. Her vision dimmed and blurred as she clawed at his strangling fist. “I’ll go have a talk with your frail old friend and then we’ll see.” He shoved Annie backward, slamming her against the wall. She hit so hard her knees buckled. What little air she still had was knocked away. Claude charged out, shutting the door behind him. Annie heard the sound of a padlock snicking shut as she slumped sideways. She became aware of her surroundings with no idea how much time had passed. In the falling darkness, she could barely make out blood dripping down the front of her dress. Tears diluted the blood and she wept. Annie proved beyond a shadow of a doubt that she was indeed an idiot by burying her face in her hands and sobbing her heart out. The tears burned. She swiped at them and flinched from the pain in her blackened eye. Claude had known before he’d asked that Annie would never wear that sinful dress and sing those bawdy songs. Touching gingerly her throbbing, swollen cheek, Annie pulled her hand away and saw blood. Her lip was split, her nose bleeding. She knew Claude’s fists had been more for his own cruel pleasure than any attempt at coercion. “Beat me to death if you want,” she yelled at the door. “I will never again perform onstage for you!” She felt strong, righteous. Ready to die for her faith. Then she thought of Elva. Annie’s elderly accompanist was maybe, right now, being punished because Annie hadn’t fallen in line. Claude’s cruel threats rang in her ears even with him gone. For all her utter commitment to refusing the Leveques and singing only her beloved hymns, how could Annie watch Elva be hurt? Could Annie stand on principle while Elva was beaten? The welts on Annie’s arm, in the perfect shape of Claude Leveque’s viselike hand, along with Annie’s swollen eye and bleeding lip, proved the hateful man knew how to inflict pain. He’d proved he had no compunction in hurting a helpless woman. Noise outside her prison brought Annie to her feet. He was coming back! Annie was sick to think what the couple would do to the elderly woman who had spent her older years worshipping God with music. Sick with fear that they’d force Annie to watch Elva being battered, Annie clenched her fists and prayed. God would never agree that Annie should wear that tart’s dress, sing vile, suggestive songs, and flash her legs for drunken men. Please, Lord, guide me though this dark valley. A key rattled in the doorway. Annie braced herself. If she could get past Claude, she would run, find Elva, and get away. Go somewhere, somehow. Throw herself on the mercy of the men in this logging camp—the very ones Claude said would pay to see that dreadful harlot’s gown. The wooden door of the secluded, one-room shack swung hard and crashed against the wall. Elva fell onto her knees, clutching her chest. “You have to run!” Elva, eyes wild with terror, lifted her head. Annie saw Elva’s face was battered; a cut on her cheek bled freely. Annie gasped. Those words could mean only one thing. She glanced at the indecent dress. A harlot’s dress. Annie looked into Elva’s eyes, and even now they clouded over. Elva’s grip tightened until Annie nearly cried out in pain. Then as quickly as the spasm had come, it was gone. And so was Elva. She sank, lifeless, to the floor. Annie saw the very moment Elva’s spirit left her body—a heartbreaking, beautiful moment, because now Elva was beyond pain. A loud snap of a twig jerked Annie’s head around. She gazed into the nearby woods surrounding the sequestered shack she’d been locked in. The Leveques were coming. As if God Himself sent lightning to jolt her, Annie clutched Elva’s reticule, leaped to her feet, and ran. Annie gained the cover of the woods and, without looking back, began moving with painstaking silence. She heard Claude’s shout of rage when he discovered the cabin door ajar. Poor Elva. No one to bury her. No one to make her funeral a testimony to her life of faith. She kept moving. Elva had insisted on it. Common sense confirmed it. God whispered it in her heart to move, hurry, be silent. Silence was her only weapon and Annie used it. She’d learned silence in the mountains growing up, slipping up on a deer or an elk. Slipping away from a bear or a cougar. As much as Annie had loved her mountain home, she’d never learned to hunt. Pa fed the family. But she loved the woods and was skilled in their use. Heading for the trail to town, she was careful to get close enough to not lose her way but stay off to the side. Not long after she’d started out, she saw Claude storming down the trail toward town. 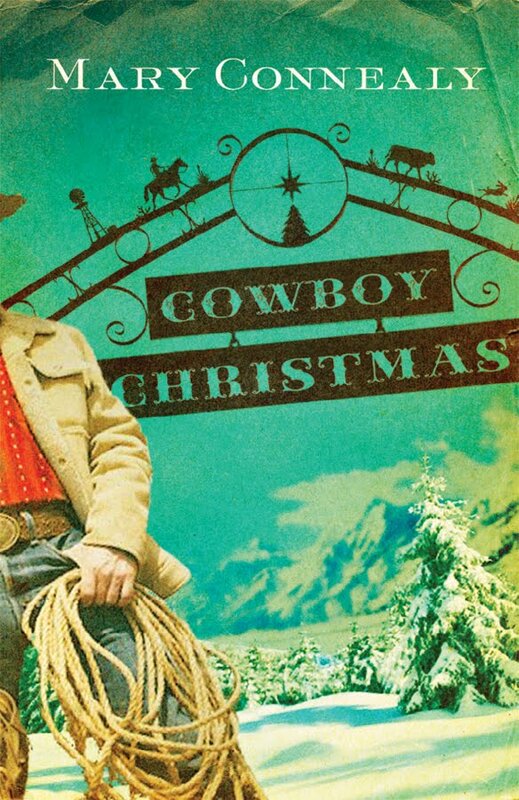 He’d catch the wagon Elva spoke of long before she did. And, she hoped, insist on searching it. Once Claude assured himself that Annie wasn’t there, she’d have her chance. Annie felt the bite of the cool night air. She heard an owl hoot in the darkness. The rustle of the leaves covered tiny sounds she might make as she eased along. She knew the trail. She knew the night. She knew the woods. All of it was filled with treachery. When life gets too busy….. I think when you are driving down the road and thinking that getting in a car accident, not a major one, but one that requires rest for a couple weeks…..would be really nice, you are too busy!!! <p> I decided to join a mini preschool/kindergarten coop with my sister and a couple others, but so far it has been 1.5 weeks, 2 days a week and it has been a bit hard on me. There are things I like and things….not so much, but we will see how it goes. <p> Then a friend offered to help me with teaching another son, which is really helpful, but it requires I leave the house extra early and drop him off, also there have been the extra lesson plans for the preschool on top of our normal lesson plans, also then afternoons have been used for more schoolwork for the others as well as cleaning, cooking, canning and everything else…..and by the time night comes I am all hyped up on the day, I can’t sleep and am thinking weird things like how nice it would be to be in a car accident!! Well, maybe next week will be easier. <p> I canned salsa today. I did not want one that had alot of vinegar in it. So I looked and looked and found one that I used, well I actually used less peppers and onions and more tomatoes and probably more vinegar, but I am still doubting myself and praying that I used enough in it! I cooked it down awhile as well which is supposed to help and I am pretty sure they were vine ripened tomatoes which helps and I used hardly any peppers compared to tomatoes……if it needs more I will add when I open it up, but I am a bit worried…..but I followed a modern recipe. It should be fine. <p> So, I am weird…..I need to sleep, so good night! !